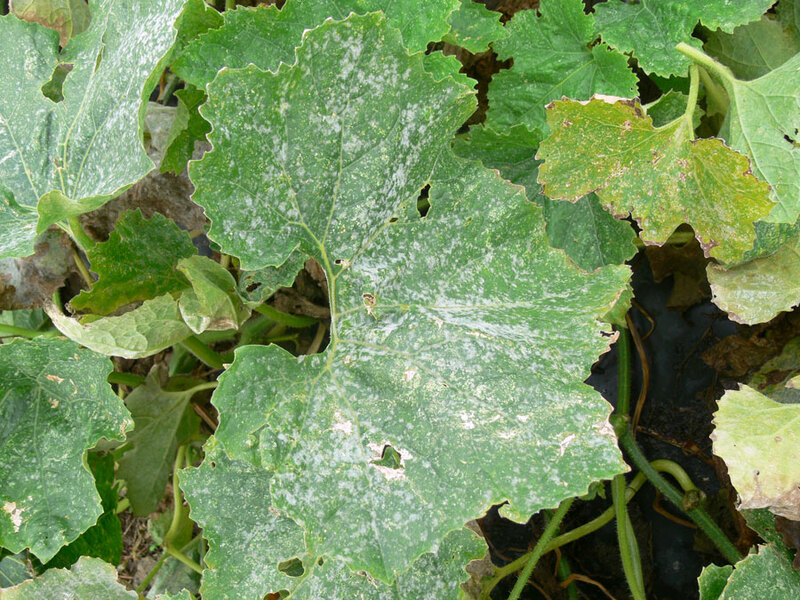 The disease initiates as small floury patches on the leaves on the lower surface which later extends upper surface. Subsequent growth of the fungus on these spots results in powdery growth. Infection also extends to petioles and stem. Severely affected leaves become pale yellow green then turn brown and are shrivelled. Premature defoliation and death of the plants may take place.